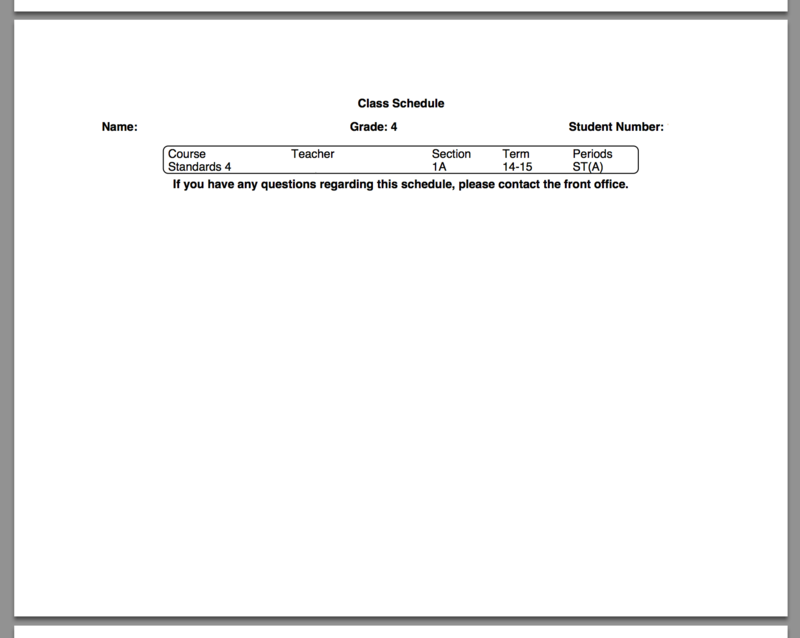 Whether it is before the start of the school year or not, it is incredibly helpful to have the ability to print a student schedule in .pdf form for giving to students, parents, teachers, or even for the scheduling staff to ensure that all of your students are scheduled. This walk-through will take you through the steps of creating your own student schedule using the Report Card functionality of PowerSchool located by navigating to: Start Page > System Reports > Setup > Report Cards. 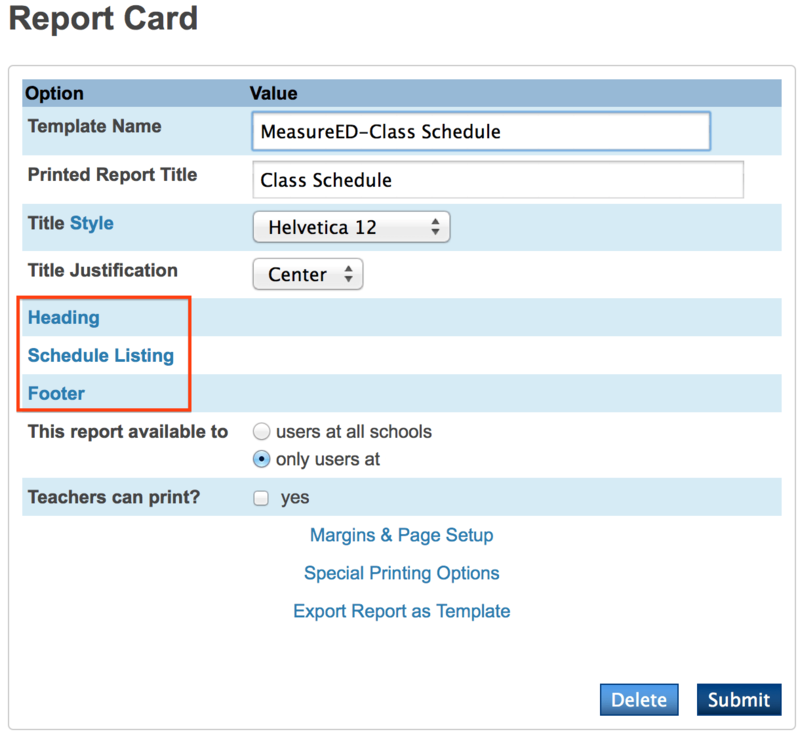 Step 2: Give the report a Name, Title and Title style. We prefer the settings in the screenshot below. 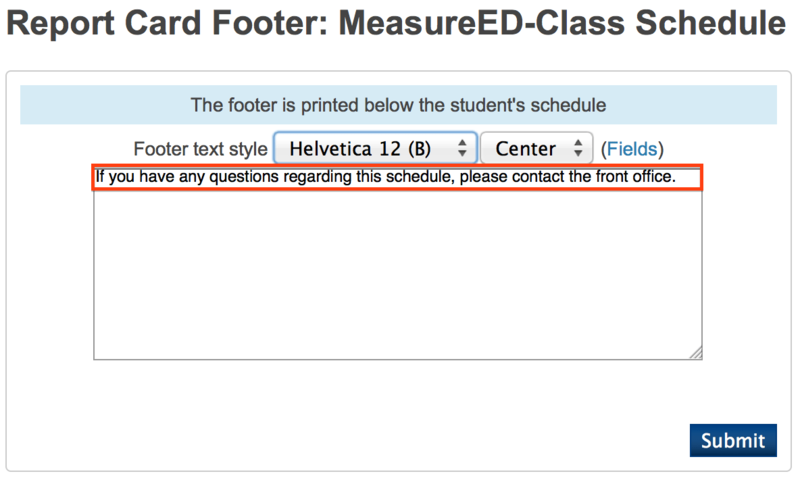 Step 4: Once you save, the report should appear whenever you run a report for a group of students. 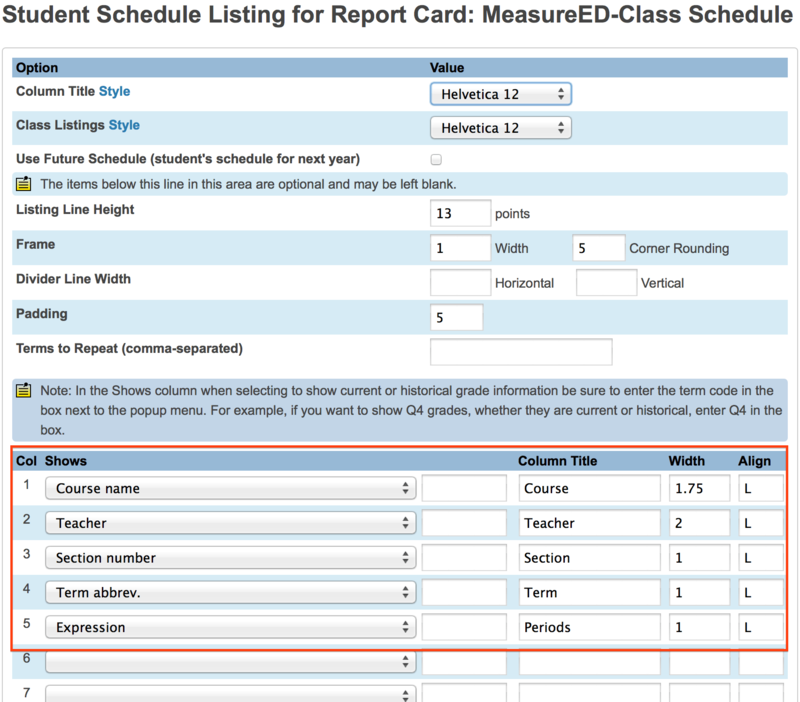 Step 5: You should now have a beautiful Class Schedule report waiting for you in the report queue!